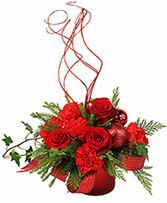 The CLASSICAL CHRISTMAS arrangement from LaPorta's FLOWERS & GIFTS is one of the best last-minute gifts around and adds a fresh touch at holiday parties and get-togethers. 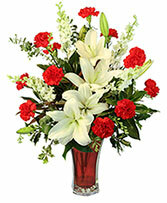 To order, call our shop in Johnstown, PA or send holiday flowers online 24/7. 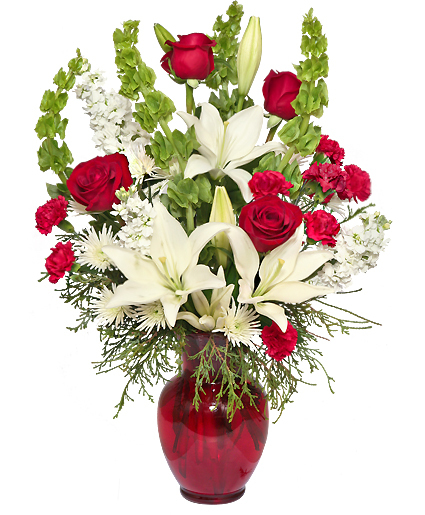 Inspired by the winter snow and blue of the winter sky. 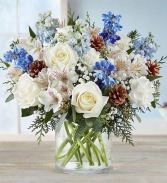 White roses with blue delphinium, white alstromeria, baby's breath and pine cones and winter pines.